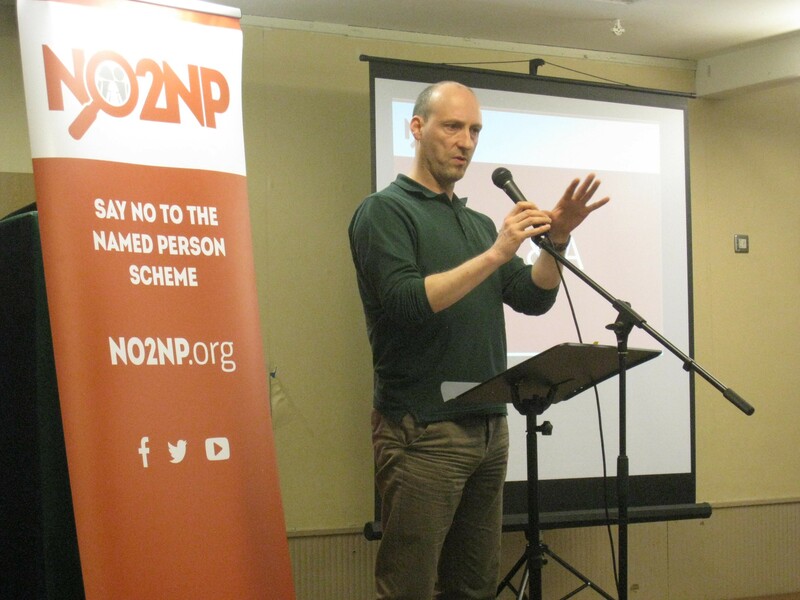 The Deputy First Minister and Education Secretary John Swinney put a ban on NO2NP’s campaign spokesman Simon Calvert from attending a meeting of third sector groups to discuss the future of the Named Person scheme. 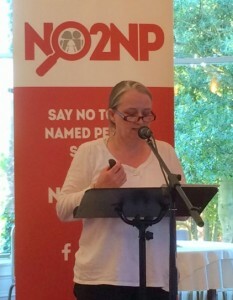 The talks were held as part of an “engagement process” session in Edinburgh on 1 December, to discuss possible ways of changing the scheme following the Supreme Court defeat earlier this year. 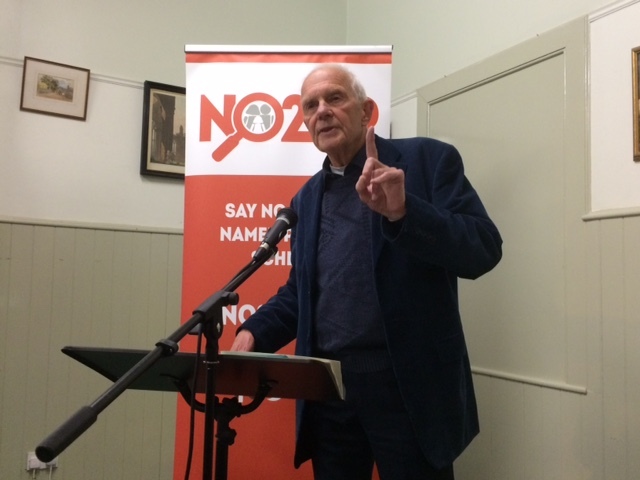 But The Christian Institute, a lead party in the legal case, and which helped spearhead the formation of NO2NP, was told its presence would not be welcome at the meeting. 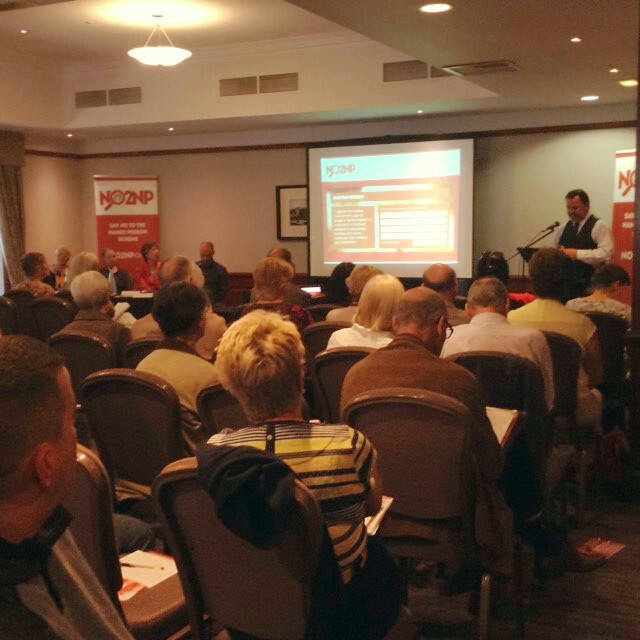 “The aim of the engagement process is to adequately, properly and fully address the issues that were raised in the Supreme Court judgment, and we are engaging widely on those questions. 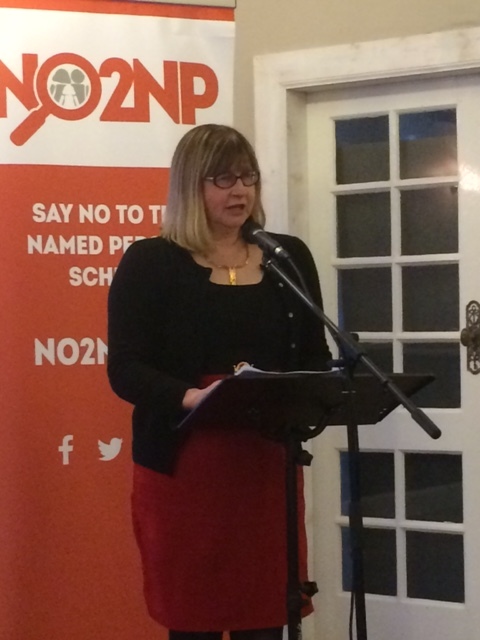 “However we are not discussing the principle of the Named Person policy as the Supreme Court found it to be legitimate and benign. 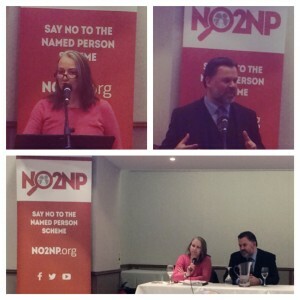 “Your organisation has made it clear that it is against the provision of Named Persons, so there is a fundamental policy disagreement. 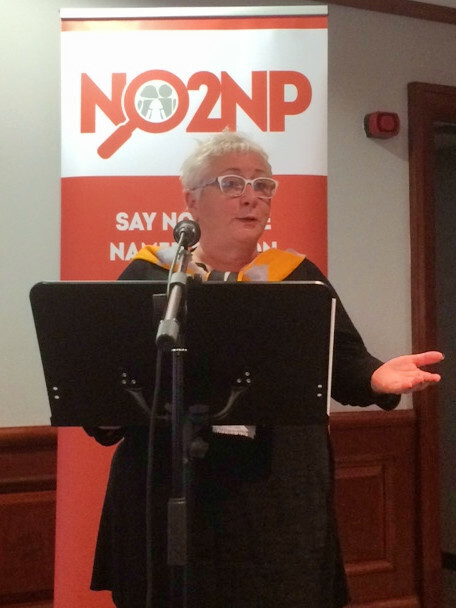 “The Scottish Government are engaging with people who wish to improve the legislation not those who wish to revisit a debate on its establishment as this has been agreed by Parliament. “The Government doesn’t seem to realise you can have a principled disagreement on an issue and still be capable of making a worthwhile contribution to the debate. That’s the way politics works. It seems rather petty to exclude us like this. “But this is typical of the ‘intense engagement’ period which Mr Swinney announced in September after losing the court case. They really are only interested in creating an echo chamber for their own views. 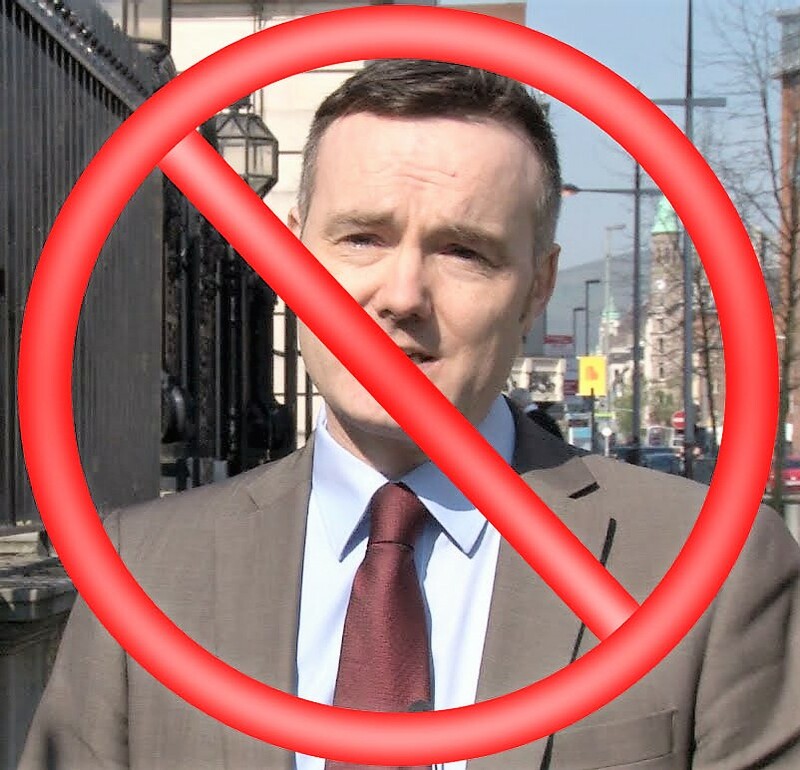 This so-called consultation is virtually worthless. “Polls show that only 24% of the population think every child should have a Named Person. 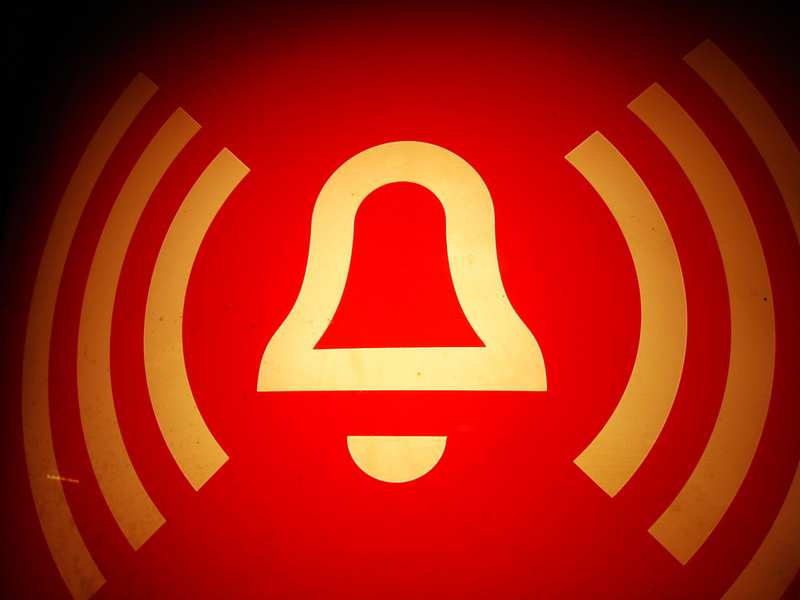 By refusing to speak to anyone representing the overwhelming majority who don’t back their policy, the Government is closing the door on advice which could help them to avoid more catastrophic blunders. They are making the same mistake they’ve been making all along: they think they know best. If only someone had sounded the alarm about the potential of the Named Person scheme to breach human rights ** BEFORE ** the Children and Young People (Scotland) Bill was passed! And if only someone had raised those concerns with the Scottish Government. Perhaps with the Lord Advocate (Frank Mulholland at the time), the Government’s chief legal adviser, who would have had powers under the Scotland Act 1998 to refer the provisions of the Bill to the UK Supreme Court. Perhaps it could have saved everyone a whole lot of trouble and expense, I hear you say. Yes. But only if they had listened. The Christian Institute, which was a lead party to the Named Person legal challenge, recently disclosed that it wrote to the Lord Advocate on 12 February 2014, a week before the Children and Young People (Scotland) Bill completed its passage through Parliament. 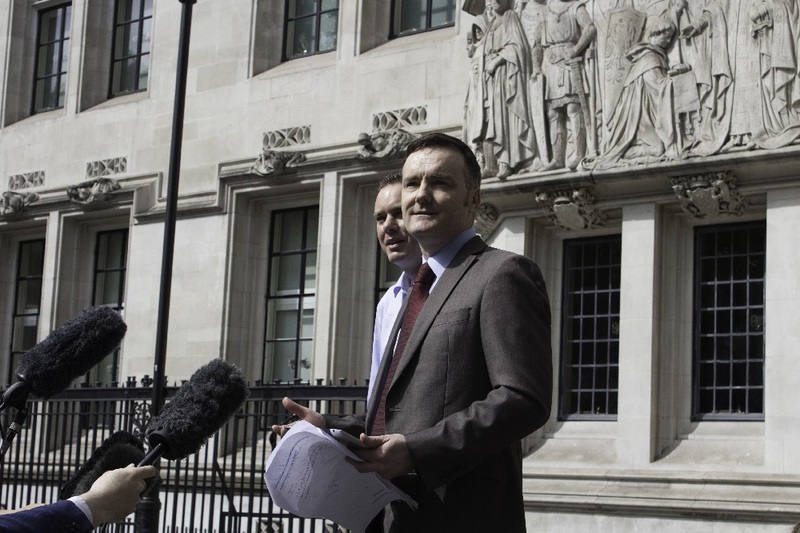 The Institute’s solicitor highlighted that the “blanket nature” of the Named Person scheme could result in “disproportionate and unjustified interference” in family life, in breach of Article 8 of the European Convention on Human Rights. 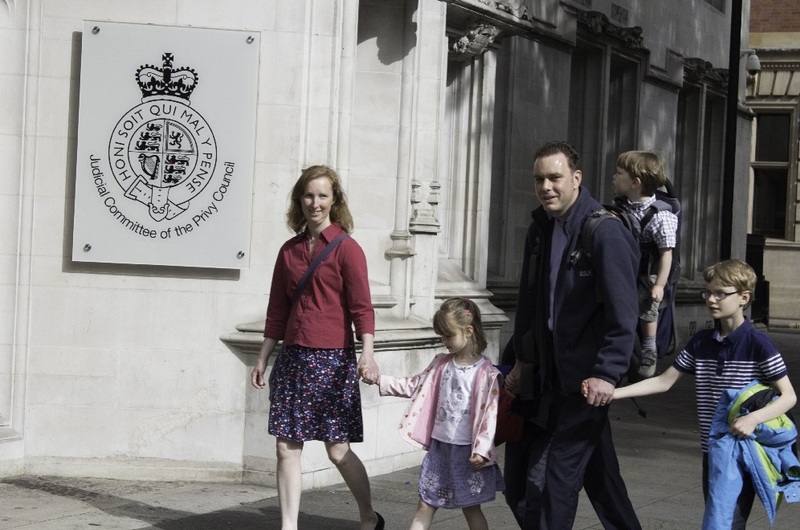 The Christian Institute raised concerns about the key responsibilities of a Named Person. The letter also warned that the provisions of Part 4 of the Bill could “fail the test of being ‘in accordance with the law’”. These concerns sound familiar to you? That’s right – these were the same grounds on which the UK Supreme Court struck down the legislation in July this year. 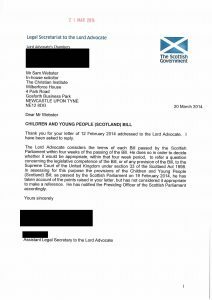 How could the Lord Advocate have dismissed these concerns? The letter from The Christian Institute was sent a week before the Bill was passed in Parliament, and five weeks before it received Royal Assent. 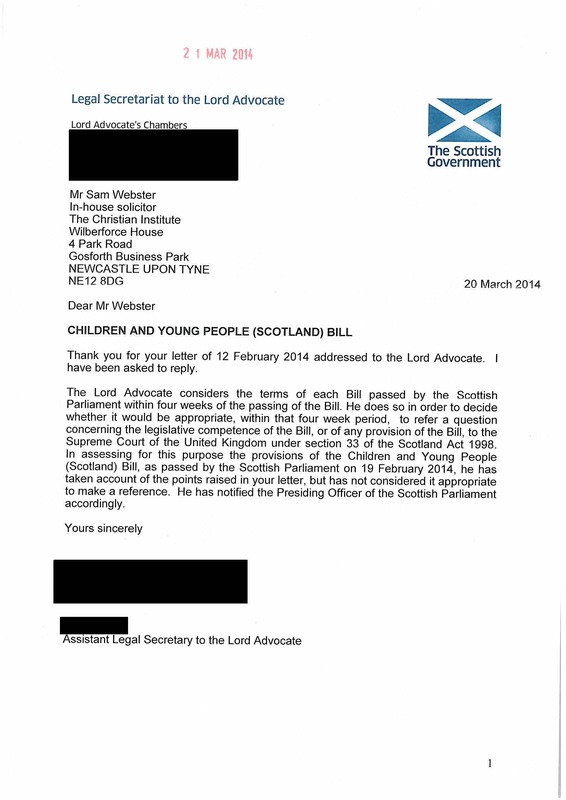 The Lord Advocate was well within his time frame to delay the Bill and refer it to the Supreme Court. Instead, he instructed an ‘Assistant Legal Secretary’ to write back and dismiss the concerns. The reply said the Lord Advocate had “taken account of the points raised in your letter, but has not considered it appropriate to make a reference”. 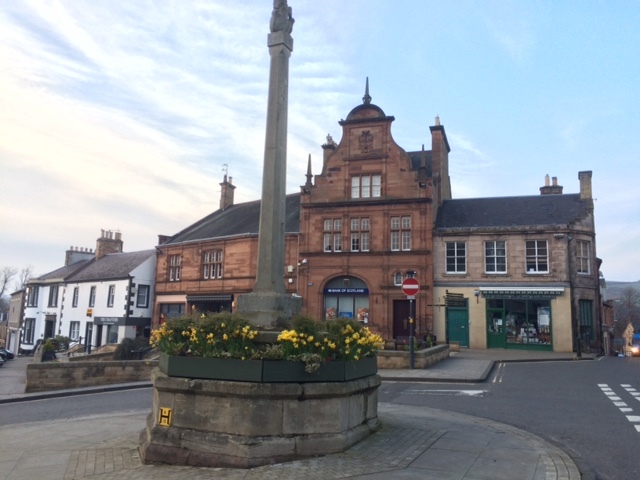 Their first stop was the picturesque Borders town of Melrose on Monday night last week, when a good number of locals turned up to hear from the team. 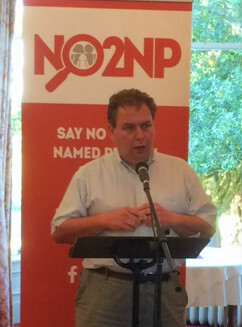 Gordon Macdonald, Parliamentary Officer for CARE for Scotland, spoke about the reasons for the NO2NP campaign and referred to comments made online by Jim Terras, a Scottish Borders Council Training and Development Officer for Child Protection. 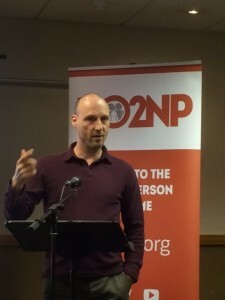 Terras had remarked that he didn’t think the Government should be basing their opinions on the views of “fringe groups” opposed to the Named Person scheme, “who don’t really represent the general public”. Gordon went on to point out that in a recent ComRes Poll, 64% of the Scots polled considered that the scheme was “unduly intrusive” into family life and 80% considered that the focus of child protection resources should be on truly vulnerable children and not every child. We were then delighted to welcome Professor John Raven from Edinburgh to speak about his 50 years of academic experience in the areas of family, education and sociology. He said that parents are children’s most important educators in terms of instilling all the most important values in life, so having a Named Person to dictate what this should look like was quite wrong. One of the things the Professor had noticed over his long career was the deprofessionalization of teachers, doctors and social workers by Government, who have increasingly imposed their own agenda on these professions. And now even parenting has been “deprofessionalized” under this scheme – in line with what is happening across society. 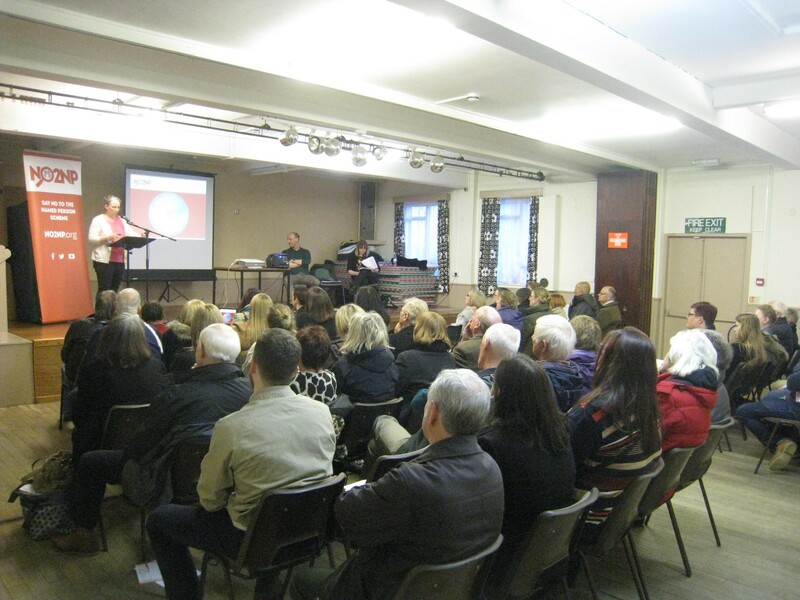 The team’s next stop was Broughty Ferry last Friday to address a packed meeting at the town’s YMCA. Lesley Scott from TYMES Trust set out how the Universal Health Visiting Pathway, due to be introduced on 31 August, will be a massive invasion of privacy for every young family in Scotland. A huge amount of sensitive information will be shared about their personal details, all intended to “promote, support and safeguard” the wellbeing of every child. However, the term “wellbeing” is nowhere defined in either the legislation or the guidance. 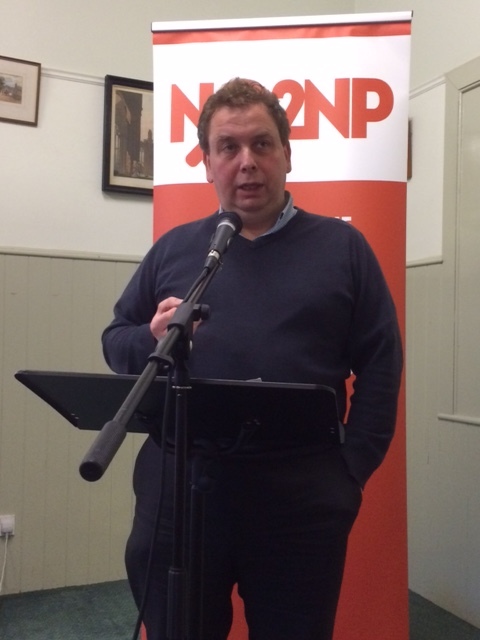 This point was made in a video clip Lesley showed from a Holyrood debate last year, where an MSP in favour of Named Persons refused to answer a question about the definition of wellbeing, but instead ridiculed his colleague for asking the question. 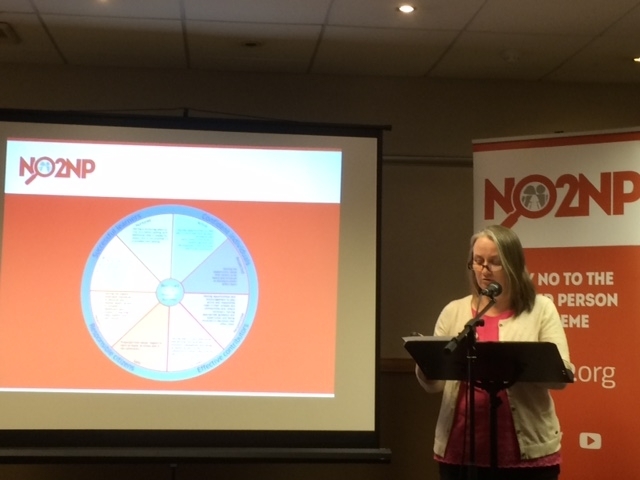 Alison Preuss from the Scottish Home Education Forum spoke about her background in elective home education and her experience in challenging breach of privacy law in various government schemes over the years. She made reference to the GIRFEC Cluedo article that appeared in the press recently. 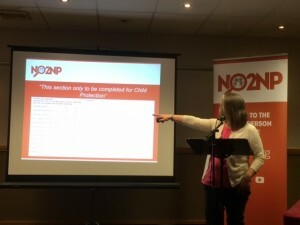 The aim of the game (used in training) is to get professionals to determine parents’ capacity to provide “wellbeing” by data mining without consent “at even the lowest level of concern”, as opposed to on child protection grounds. Alison went on: “Privacy is being systematically demolished on the basis of mere suspicion, allowing the state to call up a single view of any citizen at the click of a mouse, to more easily identify those of us in need of remediation”. 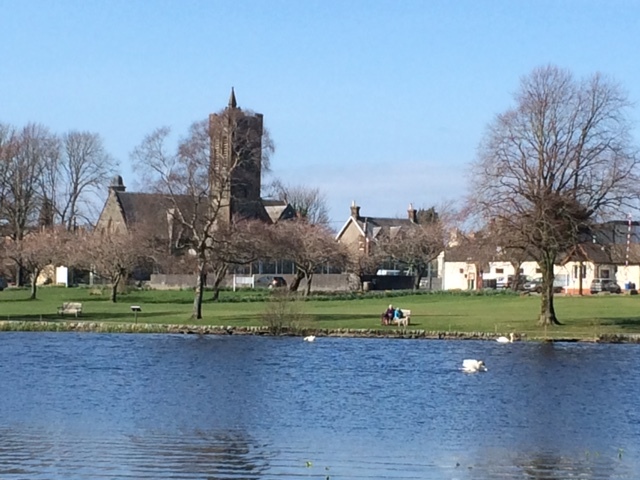 Then on Monday this week, the team traveled south to Castle Douglas, at the heart of scenic Dumfries and Galloway. 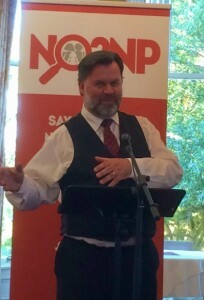 The Christian Institute’s Nigel Kenny explained that one of the ways the Scottish Government planned to ‘teach’ young children the principles of “wellbeing” was by way of a snakes and ladders type game called On the Trail with the Wellbeing Snail. When Nigel explained that one of the cards for the game said that if you did not join the new after-school fencing club, you had to move back two spaces, one member of the audience asked us if we were making this up?! Not so, sadly. Others from the team mentioned the SHANARRI song and the GIRFEC Cluedo tool referred to earlier. The audience couldn’t believe that this was really happening! 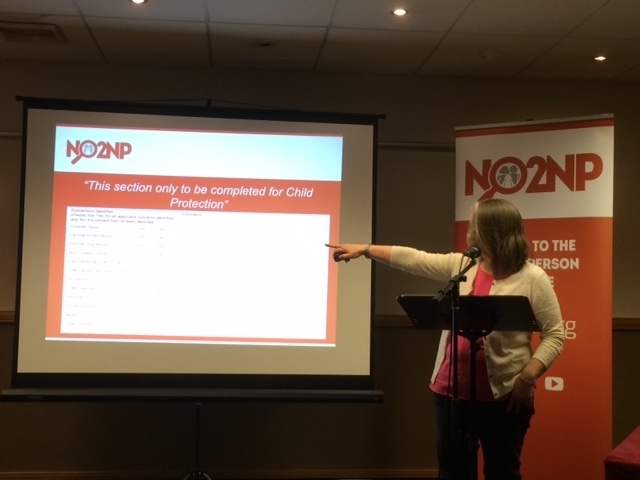 Nigel also pointed out that every named person would have to watch out for 222 risk indicators in each child or young person under their watch, which included: being under 5 years old, limited engagement by the parents and the parent having a different perception of the problem! 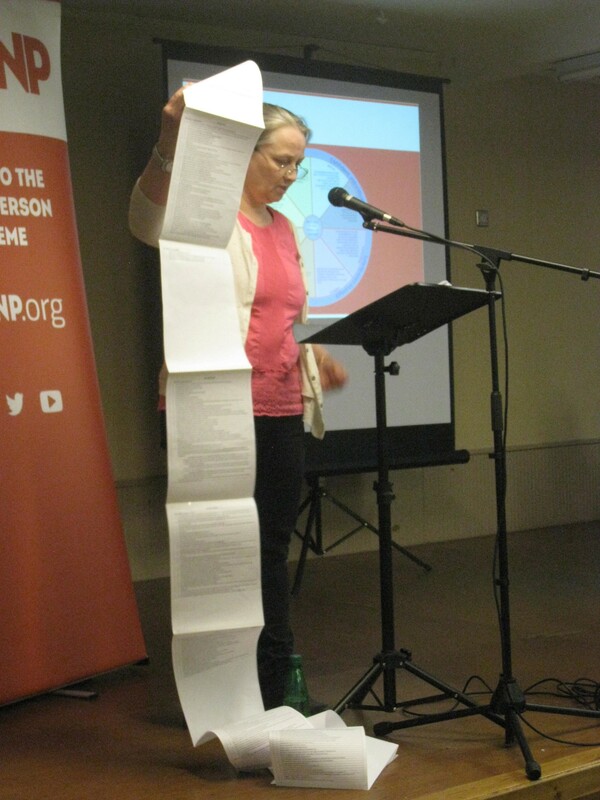 Alison Preuss said the acronym GIRFEC should really stand for Getting Information Recorded for Every Citizen. 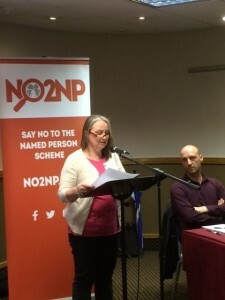 She pointed out that the principle of Named Persons was about being able to share sensitive data without the consent or even knowledge of the parents. 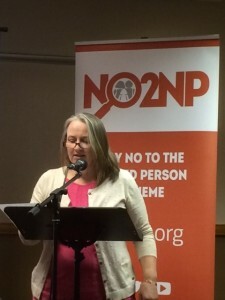 Alison finished by quoting former US President Lyndon B Johnson, who once said: “You do not examine legislation in the light of the benefits it will convey if properly administered, but in the light of the wrongs it would do and the harms it would cause if improperly administered.” The Scottish Government failed to observe this principle, but NO2NP has been holding them to account throughout our campaign, highlighting the numerous problems with the legislation. The NO2NP Team will be in Coatbridge on Wednesday next week. If you can join us, we look forward to meeting you! 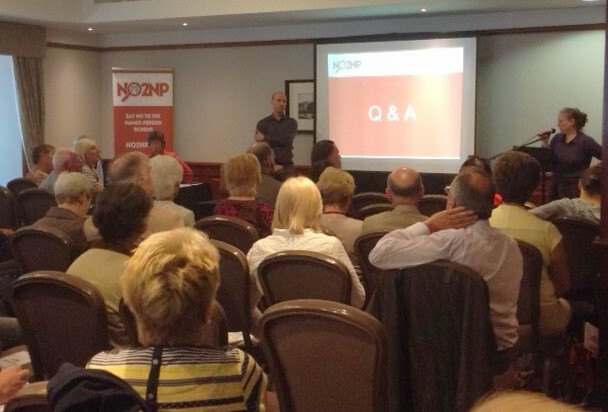 The latest NO2NP Roadshow event was held on a beautiful, sunny evening in Galashiels last night. Gordon Macdonald, who is CARE for Scotland’s Parliamentary Officer, spoke first. He said that the family is the fundamental unit in society and, as such, deserves respect. This respect for the family is “integral” to key human rights documents, but we have seen a reinterpretation of them in recent years which marginalises parents. The Named Person legislation is a really significant shift away from child welfare to a wellbeing model that is very vague and broad. We are seeing a fundamental shift in the ideology of how the state relates to all children, he explained. 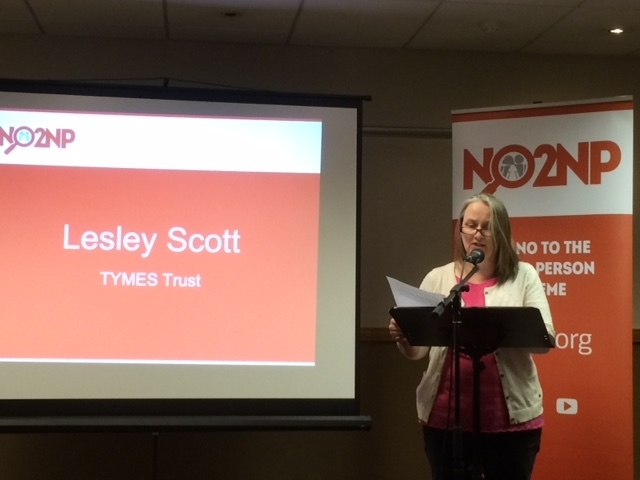 Next up was Lesley Scott of TYMES Trust, who as usual highlighted what the local authority for the area was doing about the scheme. Borders Council has devised a “Cootie Catcher” so that children can learn how to assess their wellbeing. 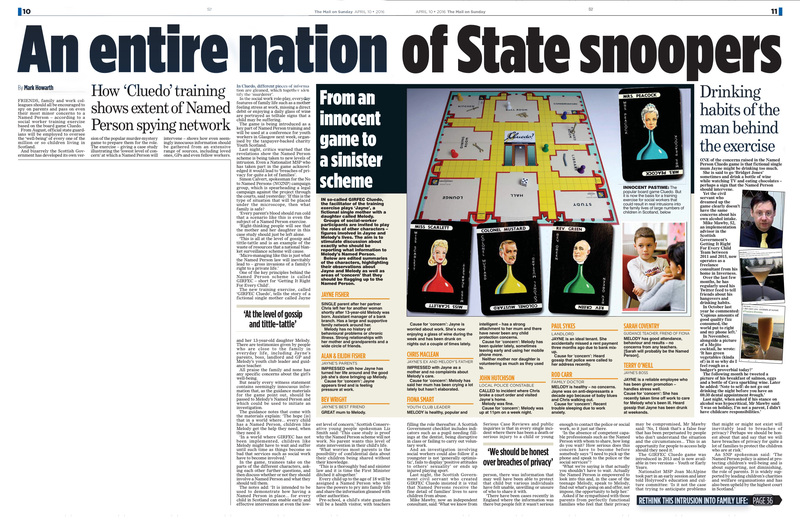 The Council has also created a snakes and ladders type game called “On the trail of the Wellbeing Snail”, where cards are selected when a player lands on a square that determines whether they make progress or go backwards. The notorious SHANARRI wellbeing indicators of safe, healthy, achieving, nurtured, active, respected, responsible and included are key to this game and are intended to show children when a “wellbeing outcome” has been achieved. Examples included whether a parent had washed their child’s gym kit the night before and whether a parent had listened to their child if they were upset. 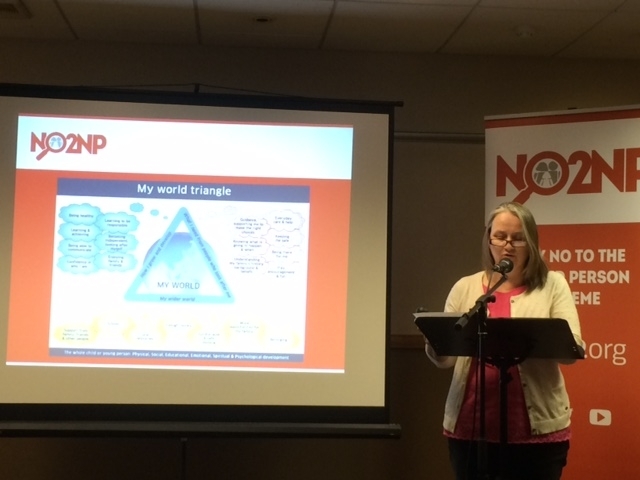 Lesley went on to explain the Wellbeing Wheel, the My World triangle, the Resilience Matrix and Genogram, all part of the Scottish Government’s “toolkit” for assessing, analysing and addressing every child’s perceived “wellbeing” needs. 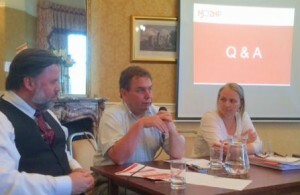 After Nigel Kenny from The Christian Institute brought everyone up to date about the judicial review appeal to the Inner House of the Court of Session last week, there was the usual lively Q&A, when those who had come raised a wide range of concerns about the scheme. 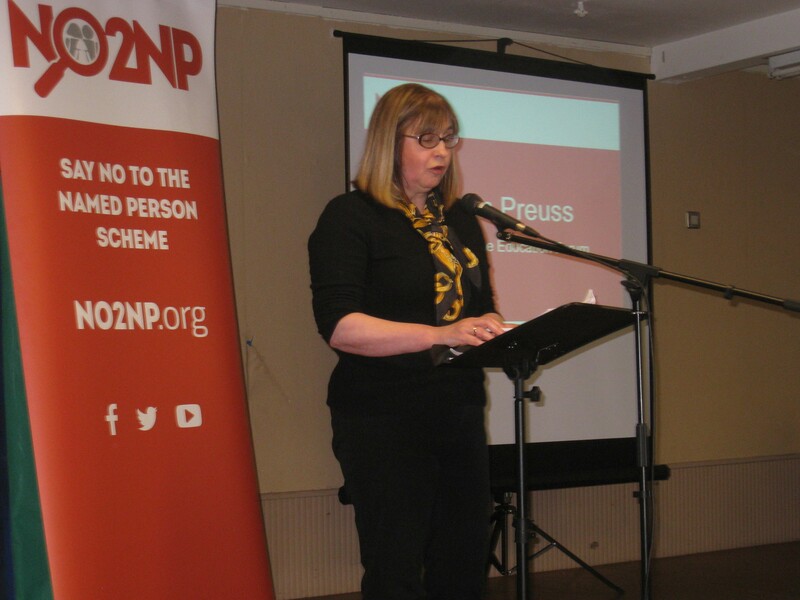 The NO2NP Roadshow will be calling at the Gracefield Arts Centre, Edinburgh Road, Dumfries next Wednesday, 17th June at 7.30pm – we look forward to seeing some of you there! Falkirk was the latest stop for the NO2NP Roadshow last night, when local supporters of the campaign were given the lowdown on the state guardian scheme. Dr Stuart Waiton from Abertay University explained some of the key developments in social policy over the last 15 years in relation to child welfare. The concepts of abuse, vulnerability and early intervention have become deeply embedded in the minds of many strategists and there is a feeling that parents cannot advise their children properly without first receiving advice from professionals. This is known as “third way parenting”. Lesley Scott, from TYMES Trust, pointed out that contrary to the contentions of Acting Minister for Children and Young People, Fiona McLeod, parents across the country did not ask for the Named Person scheme. Lesley went on to explain how the Scottish Government’s pilot of the scheme in the Highlands led to nearly 8,000 children (1 in 5) being put on a “child’s plan”. During a lively Q&A session it was asked if teachers could opt out of being Named Persons. 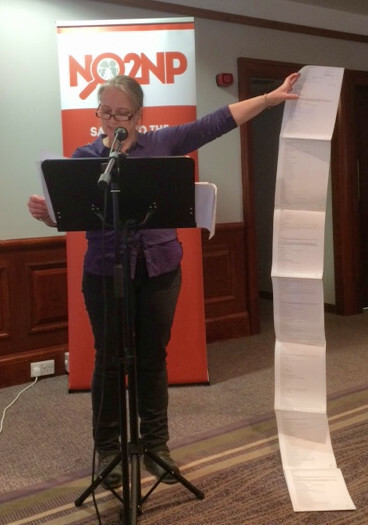 This was a very significant change in the terms and conditions of their employment, yet some of the teaching unions have yet to indicate their detailed views on this matter. 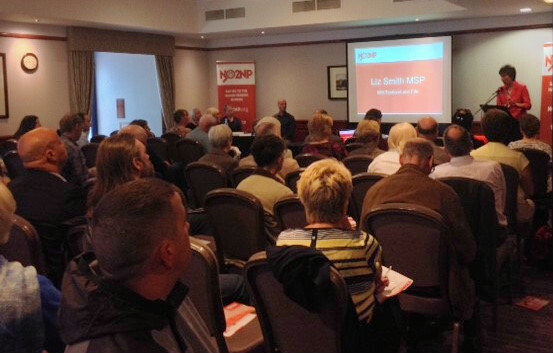 The Roadshow will be calling at the Elmwood Golf Club, Cupar at 7.30pm on Tuesday next week, when MSP Liz Smith hopes to be one of the speakers – do plan to join us, if you live in the area!